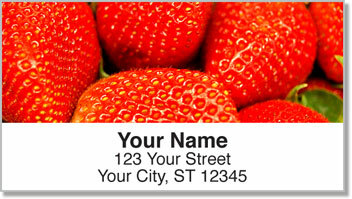 Photography of fresh fruit on these return address labels will make you start to drool! You'll think about sinking your teeth into a crisp green apple or popping a succulent strawberry in your mouth and suddenly you will wish these labels were edible! Thankfully, there are no more forbidden fruit trees around. Unlike Adam and Eve, you can take a bite of whatever you want! 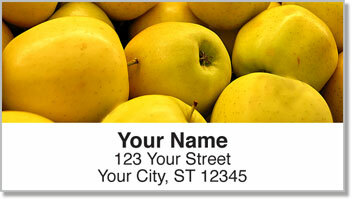 Not-So Forbidden Fruit Address Labels are a great reminder that eating healthy can be a delicious experience. 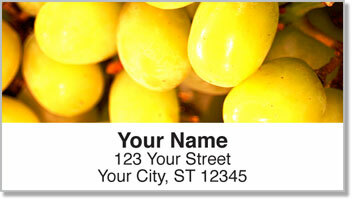 Plus, these easy-to-use labels will cut down on the time it takes to prepare letters and packages for the mail! 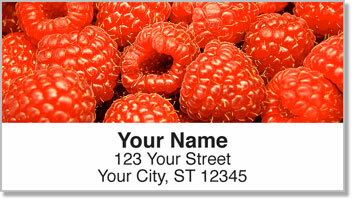 Order your own Not-So Forbidden Fruit Address Labels today!